We check over 450 stores daily and we last saw this product for $174 at DANNIJO. 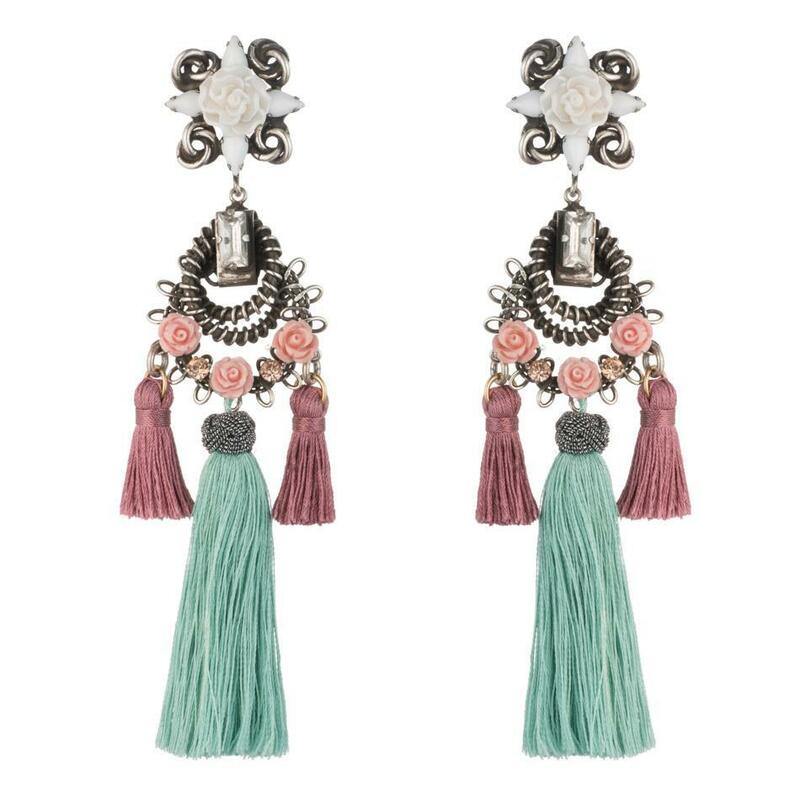 Pretty pastels create a beautiful balance for our Bishop statement earrings. 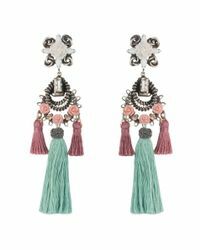 We love the soft pink roses and the green tassels together. You can style these in easy soft dresses and frilly blouses. Oxidized silver plated earrings. Measure approximately 4" long. Made with Swarovski Crystals. Handmade in New York (with Love). Free ground shipping on orders.